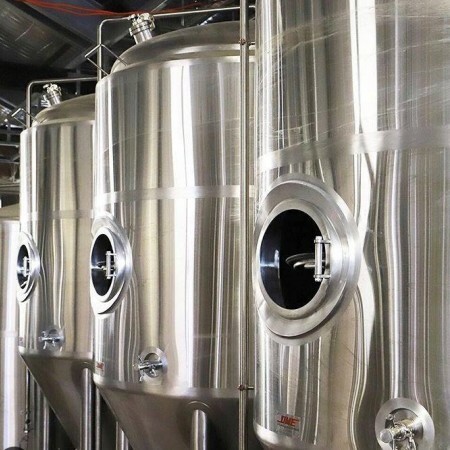 CHARLOTTETOWN, PE – One of Canada’s largest and longest-established manufacturers of brewing equipment has ceased operations, a development that is likely to have repercussions throughout the country’s brewing industry. As per an order issued yesterday by the Supreme Court of Prince Edward Island, Diversified Metal Engineering has been placed into receivership at the request of the Royal Bank of Canada, with Alvarez & Marsal Canada named receiver for the company’s two DME Brewing Solutions properties in Charlottetown. Full details will be posted as available on a page set up on the Alvarez & Marsal website. Initial news of the shutdown came via a statement from PEI’s Workforce and Advanced Learning Minister Sonny Gallant and Economic Development and Tourism Minister Chris Palmer, which said that the closure was “disappointing news, particularly for the affected employees and their families,” and that the “Government will work swiftly to offer assistance to any affected employees to help them reattach to the workforce.” 165 direct job losses in Charlottetown are expected due to the closure. It’s not yet clear if the closure also affects Newlands Systems in Abbotsford, BC, which has been under DME Group ownership since an amalgamation in 2016. CBN will post an update should more news about that become available. UPDATE: Two sources have confirmed that Newlands Systems has also shut down, and all employees have been put out of work.